Sudden Money Gaining Yogas In Kundli, unexpected monetary benefits as per horoscope, which yogas make millionaire in astrology?. Money is the need of everyone and so everyone is doing hard work to get it but there are many people who get wealth, money because of destiny. This happen because of powerful yoga and planetary position in birth- chart. There are some rajyogas too which help people to live a luxurious life. We have often heard about someone has got gold while going somewhere, someone has got lottery, someone got wealth from any relative, some got treasure from earth etc. and life changed suddenly. This type of incidents take place when horoscope is blessed with powerful Dhan Prapti Yoga. 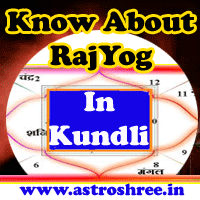 Planets resides in different houses of kundli with different zodiacs and form different yogas, some yogas are responsible for sudden or unexpected monetary benefits or wealth benefits. Let’s see which type of incidents comes under Akasmik Dhan Prapti? Secret treasure acquisition, winning lottery, getting scholarship, getting wealth because of someone will, monetary gifts from relatives etc comes under akasmik dhan prapti. Know Let’s See How unexpected money or wealth gaining Yogas form in horoscope? If the master of ascendant is present in 9th house of kundli and master of 9th house present in lagna then nobody can stop the person to become rich person. If the rulers of profit house, 5th house, income house and 9th house are strong in kundli then no doubt person will get sudden and unexpected money and wealth time to time and this type of person also becomes millionaire. If sun in leo is present in ascendant and Jupiter is watching it fully then person get sudden monetary benefits. Read about Gajkesari Yoga in horoscope>>. If mars with Scorpio zodiac is present in Ist house of horoscope and watching Jupiter and Moon then attract money in life easily. If Saturn is sitting in lagna with Capricorn and is watched by mercury and Venus then make person rich easily. In the same way if Saturn of Aquarius is present in ascendant and is watched by Budh and Shukra then also makes the person rich. Venus, Mercury and Saturn if present together of Taurus or Libra then also make a person wealthy. If the horoscope is of Gemini ascendant and moon with Jupiter is also present there then makes a person rich. In the same way if the kundli is of Virgo Lagn and Jupiter with Moon sitting there then make the person rich. If the master of ascendant and destiny house sits in any center houses of birth chart then helps to get money and wealth from different sources. Exalted master of Lagna, 5th house and eleventh house also help to become rich and unexpected money and wealth time to time. If exalted Jupiter is present in ascendant, with this if master of profit house and 11th house are also exalted then person get sudden monetary benefits time to time. If Jupiter is present in 2nd house of horoscope and is watched fully by Saturn then always help person to gain money from different sources. In the same way if Saturn is present in 2nd house and is watched by Mercury then also person get benefits regularly. If in birth-chart, the master of 2nd house is Jupiter is sitting with Mars then bless person with wealth, property. If center houses in kundli are blessed with exalted person then nobody can stop person to live luxurious life. If Jupiter of self zodiac is present in 5th house and moon with mercury is present in eleventh house then person get good monetary benefits. If the master of 10th house is present in the same house then no doubt , it gives the person a good source of income which grow gradually. Lottery winning yoga form when good rahu or ketu sits in 5th house or eleventh house or 9th house and of higher degree. If the master of money house sits in 8th house in birth chart then person get secret treasure, property or money through will. So above we have read about some powerful yogas in astrology which makes a person rich, wealthy and lucky in terms of money, wealth. There are many other combinations too. In kalyug, money power shows the success rate, person with more money is said to be great successful and so we run always to accumulate money from different sources. As per vedic astrology the 2nd house is money house or profit house, 4th house is related with happiness, 5th house of horoscope is related with productivity, 9th house is destiny place, 11th house is income place and 10th is related with work. So when reading about money power and wealth power of any person it is necessary to study these houses minutely. Note: if anyone don’t find any of above yoga in birth-chart then no need to worry, by doing some prayers, hard work with creativity, by using some gems stones and yantra we can make our life successful.